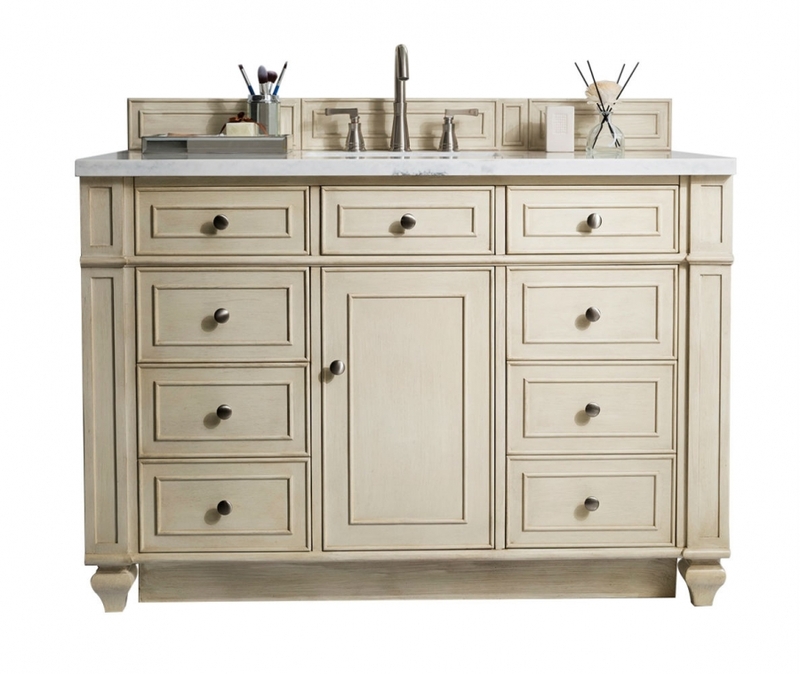 The style of this single sink vanity will bring an updated look to the space, while the size will provide great storage room as well as a spacious counter top area. The single cabinet in the center is flanked by several drawers that make organizing a breeze. The vintage vanilla finish has a creamy tone that is perfectly touched by the satin finish of the nickel hardware pulls. The bottom of the base reaches the floor, but the addition of the carved feet in the front makes for a stunning appearance.